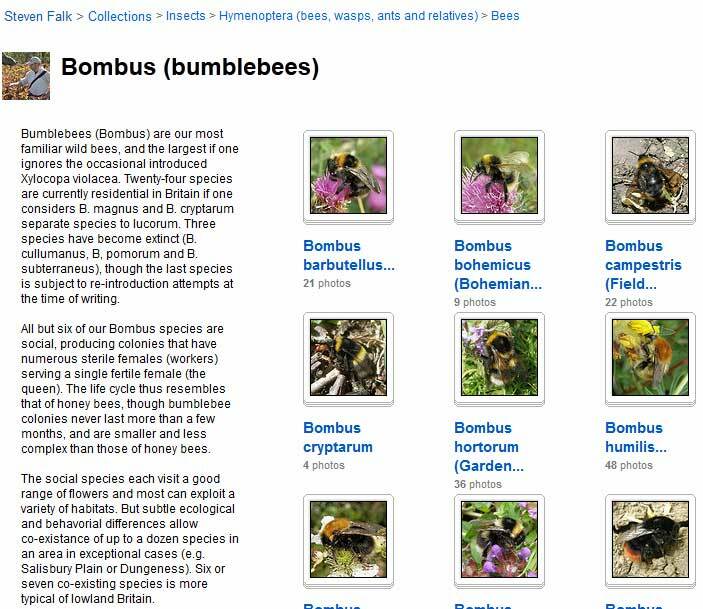 Steven Falk has created an extensive Bombus section on his Flickr pages. This includes numerous images of 23 of the British species together with information about each species. Users will find the species accounts particularly useful for helpful hints on identifying Bombus species in the field.